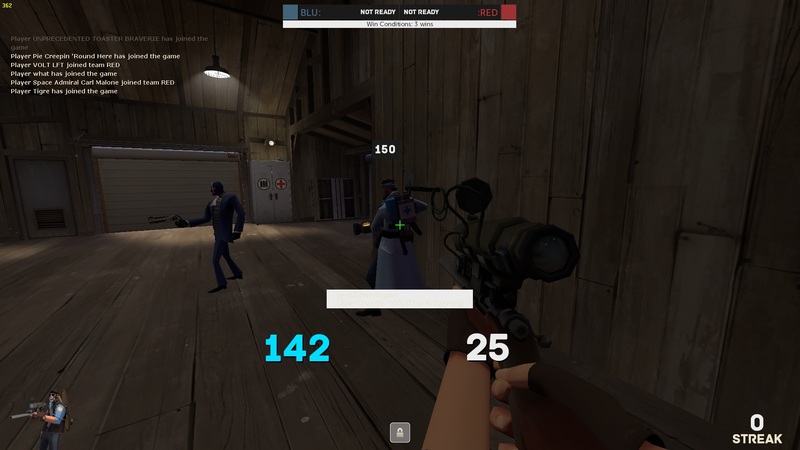 How to show ü in übercharge when i am medic? HotCoffeeNot a hud thing but there isn't a cvar/script thread, and you guys usually know stuff. But seriously, anyone know what is going on? Its tripping me out. [quote=HotCoffee]Not a hud thing but there isn't a cvar/script thread, and you guys usually know stuff. is it only on that map? if so there might be a leak in the map. Hey guys, I've looked through about 3 months of replies to try and find an answer but no luck. Would just like to know how to make the highlight for the current skin in the mouseover popup actually highlight the correct skin? I can imagine it's a simple fix, I just don't know where to look in the files of the huds that have fixed this issue. Martyis it only on that map? if so there might be a leak in the map. Its every map with water, the map works fine with others. neeko_does anyone know how to make the background color of the scoreboard on broeselhud blue darker? just anything after the name of the original fieldname, for some reason every time you reload hud, some numbers get bigger. to fix this what i did was add "ssssssssssssssss" at the end of the original fieldname. don't know why it was fixed after that but, it works! 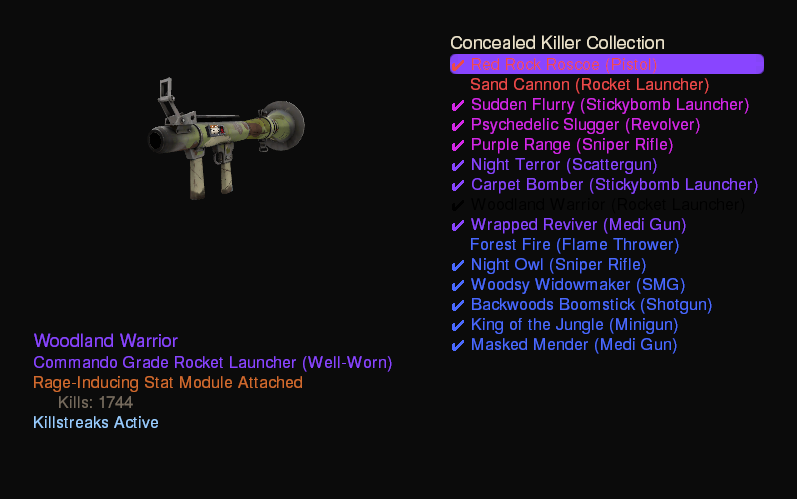 my inspect panel is the freeze screen is ginormous and I cant figure out how to move it. help. 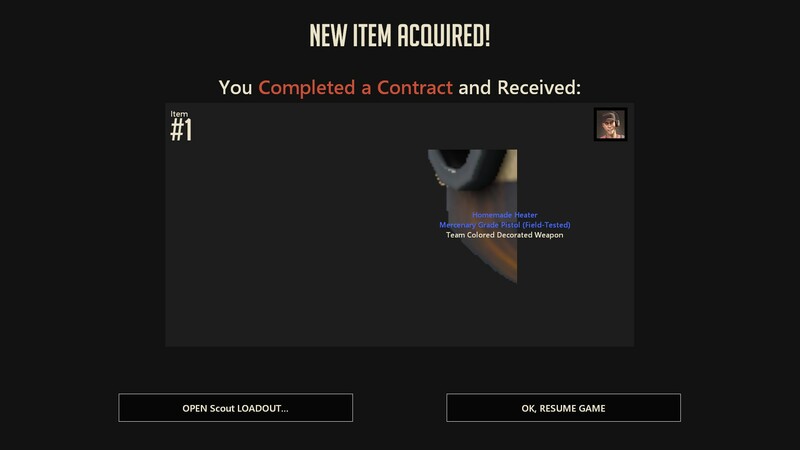 I still can't fix the item acquired thing that appears when you complete a contract / unbox a case. Tried replacing my resource/ui/econ/itemmodelpanel.res with the one from the default hud with no success. Anyone know if it's possible to change the color of the PlayerStatusHealthBonusImage. I notice there is an option for HealthDeathWarningColor to change the color of it when hurt, but anything similar for when overhealed? In what files can i move these boxes? anyone know how to completely remove the badges/tokens/coins from the scoreboard? and update a scoreboard to fit the gunmettle coins? I had previously change my targerid.res so that the TargetNameLabel uses a custom fgcolor so that people name shows up in that color. However after a tf2 update a couple of days ago, this stopped working and is now showing in white. Tried fgcolor_override and that didn't work either. The bgcolor_override however still works. Any idea if I did something wrong or if the update broke this? Thanks. WandererI had previously change my targerid.res so that the TargetNameLabel uses a custom fgcolor so that people name shows up in that color. However after a tf2 update a couple of days ago, this stopped working and is now showing in white. Tried fgcolor_override and that didn't work either. The bgcolor_override however still works. Any idea if I did something wrong or if the update broke this? Thanks. What is happening here with the target id's plz. Is there a new field that I'm missing? Where/what is the .vtf file located for this button? I'd like to edit it. 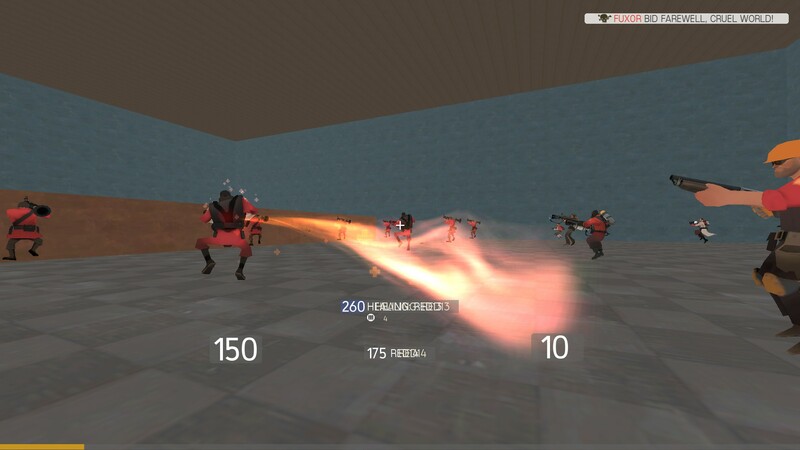 also, what is the setting that enables you to freely rotate your character preview in the loadout menu? 1 I believe it's huditemeffectmeter_killstreak.res, I'm pretty sure it's HUDItemEffectMeter, the first entry, that you have to change xpos and ypos for. If it's not, just play around with other xposses and yposses. In what file can i move the number that tell you,for example,how much damage did x guy took? A recent update hard-coded the color of target ID names. The previously invisble TargetNameLabel control is now visible. The simplest solution is to change the "tall" value of TargetNameLabel (found in targetid.res) to "0." Please add me if you need further assistance. I linked my customized cfg, all true and no fix. This happened after a recent update and I haven't changed anything in a while. SmesiIn what file can i move the number that tell you,for example,how much damage did x guy took? [quote=Smesi]In what file can i move the number that tell you,for example,how much damage did x guy took? How do i get rid of Miss Pauling and the GM Logo in the Main menu? Thank the stars that you were able to reply to me in a timely manner. I will be sure to investigate when I get home from work and get back to you. Have a good rest of the day. SmesiHow do i get rid of Miss Pauling and the GM Logo in the Main menu? how do i edit this alert/contract/motd button?